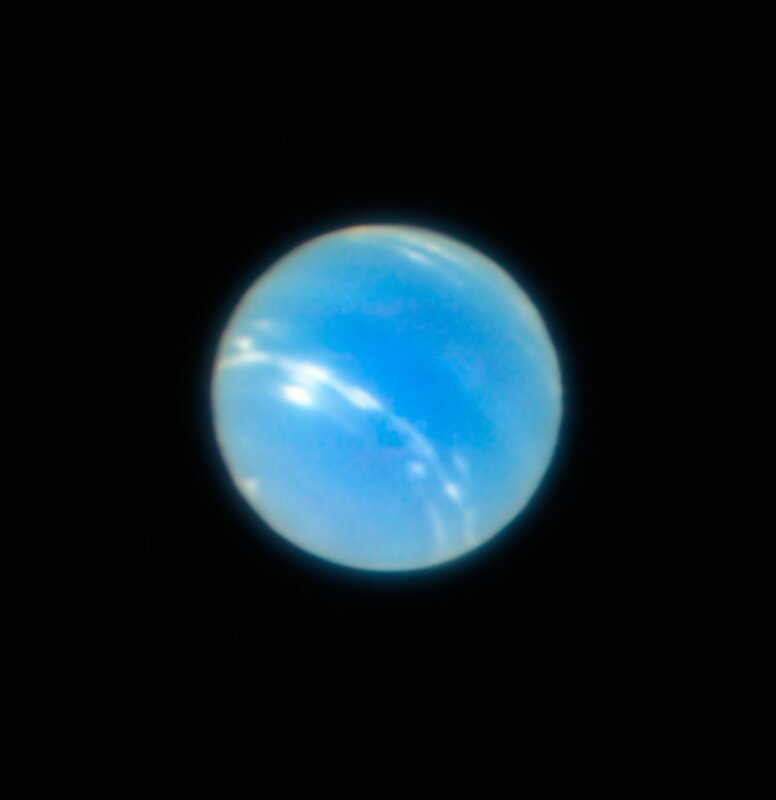 ESO’s Very Large Telescope (VLT) has achieved first light with a new adaptive optics mode called laser tomography — and has captured remarkably sharp test images of the planet Neptune, star clusters and other objects. The pioneering MUSE instrument in Narrow-Field Mode, working with the GALACSI adaptive optics module, can now use this new technique to correct for turbulence at different altitudes in the atmosphere. It is now possible to capture images from the ground at visible wavelengths that are sharper than those from the NASA/ESA Hubble Space Telescope. The combination of exquisite image sharpness and the spectroscopic capabilities of MUSE will enable astronomers to study the properties of astronomical objects in much greater detail than was possible before.